See Mark Zuckerberg's clever response to a woman who advised her granddaughters to date "Nerds" in school. 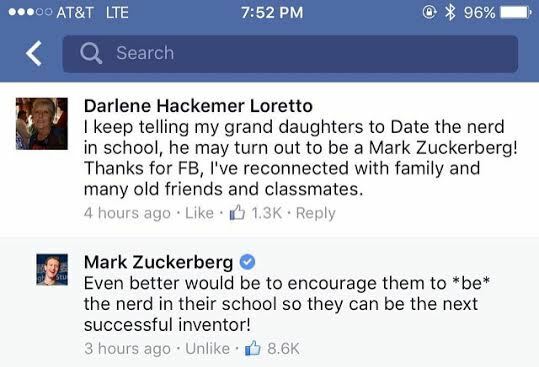 Facebook user Darlene Loretto commented on one of Zuckerberg's post saying that she had told her granddaughters to date the Nerd in school because he might turn out to be an inventor and below is Facebook CEO's response. Good one Mark!